This activity book can be used across the age range as a coherent programme to build pupils' spelling skills at home, school or college. 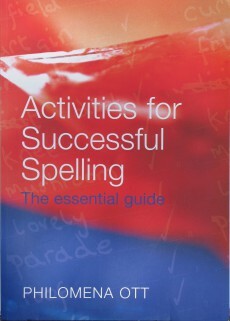 This is an essential resource for anyone helping struggling spellers, or for a 'whole school' spelling curriculum. This highly practical, photocopiable workbook is designed to help teach and develop an understanding of spelling. It provides practice in using the spelling strategies and methods recommended in its companion core text, How to Manage Spelling Successfully. The activities, crossword puzzles, word searches and dictations are appropriate for use at different stages of development and can be chosen to match the individual's current skills. Pupils in mainstream classrooms 'all maintained schools with primary aged pupils are required to teach phonics' (Rose Review). Pupils undertaking additional literacy support in small groups with a teaching assistant. One-to-one teaching of individuals with specific learning difficulties including dyslexia and dyspraxia. Support and reinforcement by parents with homework. English as a second langauge (ESL) students. 'It is a practical resource, designed to help students develop an understanding of spelling. The instructions for delivering the lessons are easy to follow and could be used by parents, classroom assistants and teachers, as well as dyslexia specialists. A "Synthetic Phonics Diagnostic and Attainment Test" is included to identify a starting point for teaching, set targets and measure progress. Top juniors and seniors enjoyed the variety of activities on syllables. Everyone found the drawings differentiating homophones very helpful. GCSE students used the prefix and suffix activites not only to improve their spelling but also to increase their vocabulary. I especially liked the encouragement for all students to proof-read their own work.